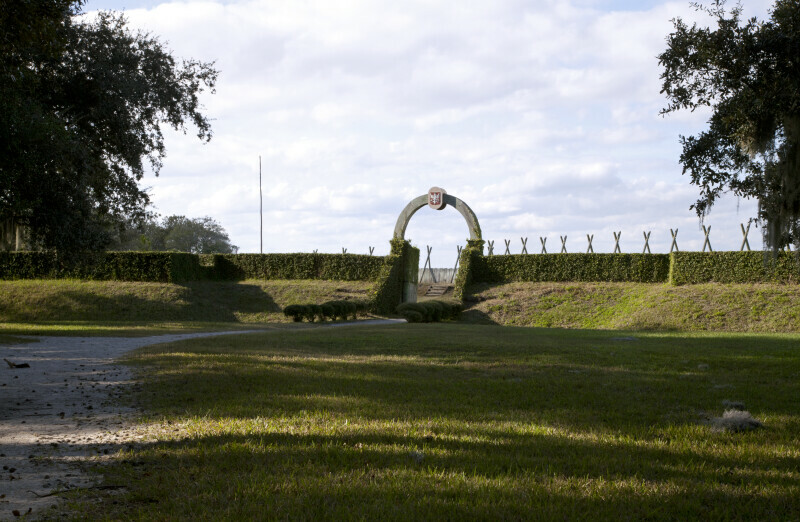 This photo shows the entrance of the reconstruction of Fort Caroline. The fort was reconstructed in the 1950s and contains several inadequacies not true to the actual fort built in 1564. WARNING: You are about to download a 55.8 MB TIFF!